Silver antoninianus, 23mm, 5.14gm, issued AD 216. Rome mint. Obv: IVLIA PIA FELIX AVG, Diademed, draped bust facing right. 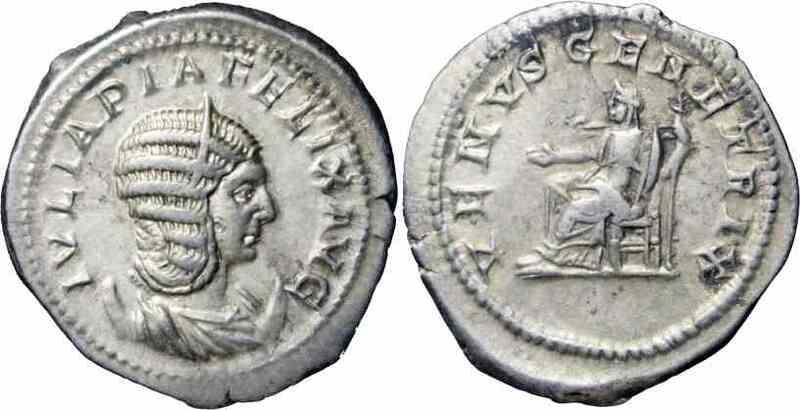 Rev: VENVS GENETRIX, Venus enthroned left holding sceptre. References: Sear 7098, RIC 388a, RSC 211.